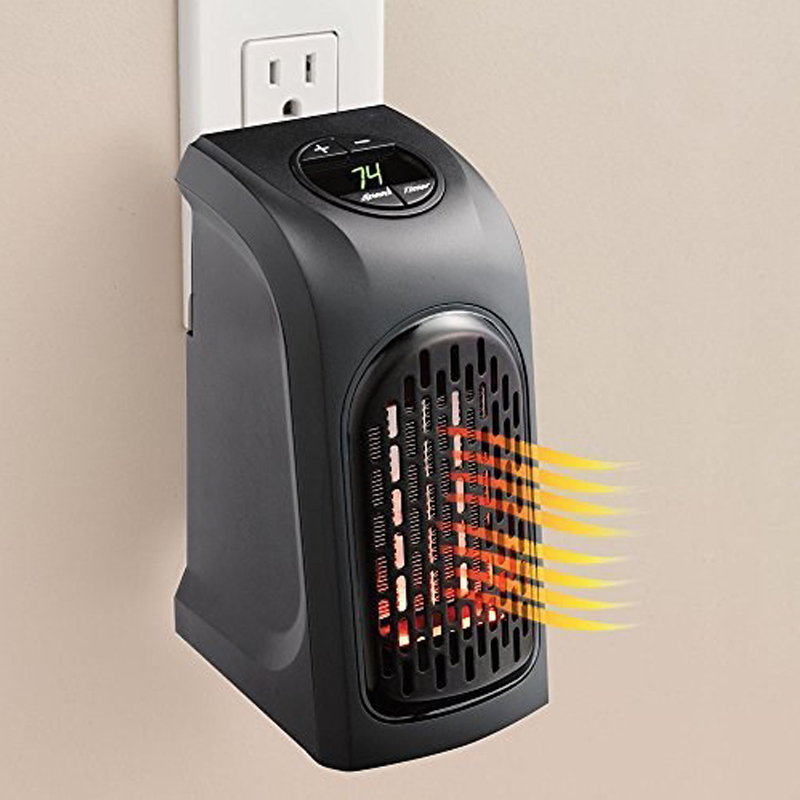 This wall-outlet space heater provides quick and easy heat - anywhere. 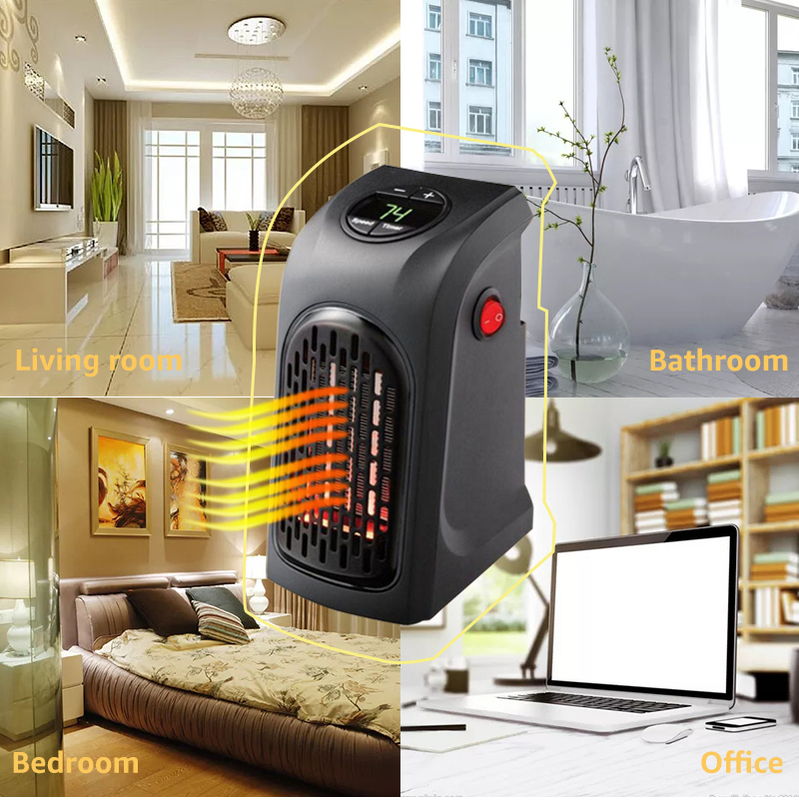 Its the person heater you just plug and turn on for warmth and comfort. Features digital control, programmable 12-hour timer, auto shut off and 400 watts energy-smart heating power. The compact design is perfect for an office, den, bathrooms, dorm rooms, campers, basements, garages and more. Heats Up to 250 square feet and stays cool to the touch. 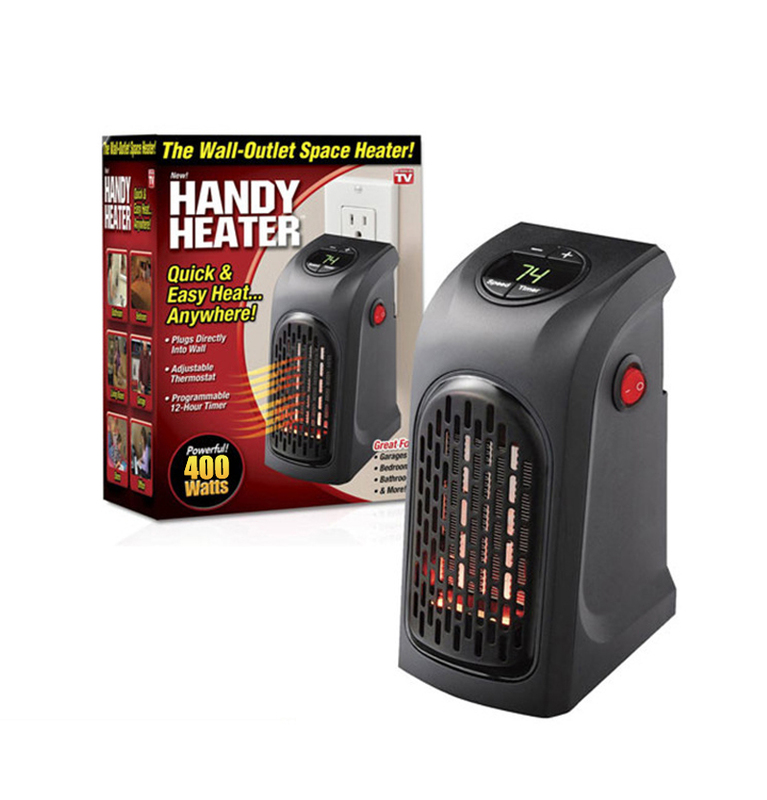 Measures 3.31" x 4.96" x 6.22"
Quick & Easy Instant Heat...Instantly!